As someone interested in online study at Wilfrid Laurier University, you are our best ambassador. Online degree programs are a popular option that enable Canadians to earn a degree while continuing to work. 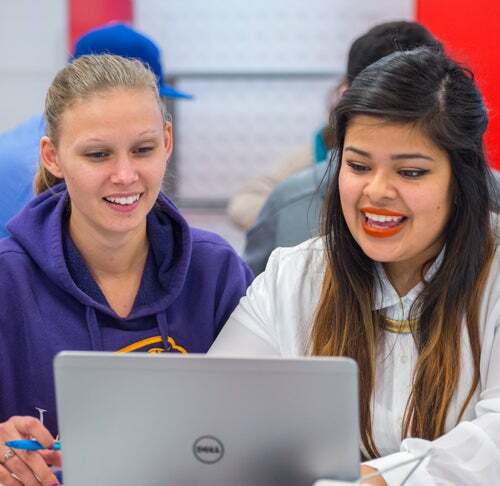 Laurier provides an opportunity for online learning at the highest academic standard, in online courses with an established curriculum taught by faculty who have been professionals in the field. If you have a friend who is motivated to continue advancing their education on their own schedule, in the convenience of their own home, please refer them using the form on this page. We will email your friend to let them know about our accredited and respected degree programs. Clicking the button above constitutes your express written consent to be called and/or texted by Wilfrid Laurier University at the number(s) you provided, regarding furthering your education. You understand that these calls may be generated using an automated technology.